ITBP Answer Key 2019: CT/ Telecom Revised Answer Key 2019 is available now for the exam. The exam was organized by Indo Tibetan Border Police on 24 Mar 2019. ITBP CT/ Telecom Revised Answer Key 2019: Indo Tibetan Border Police has issued the Answer Key on 01 Apr 2019 for the exam which was conducted on 24 Mar 2019. Answer Key can be accessed from the link given below. ITBP Constable Telecom Answer Key 2019: Indo Tibetan Border Police has issued the Answer Key on 29 Mar 2019 for ITBP Constable Telecom Exam 2019. Answer Key can be accessed from the link given below. ITBP HC/CM Answer key 2019: Indo Tibetan Border Police has issued the Answer Key on 22 Mar 2019 for ITBP HC/CM Exam 2019. Answer Key can be accessed from the link given below. ITBP ASI/ PH 2018 Answer Key 2019: Indo Tibetan Border Police has issued the Answer Key on 13 Mar 2019 for ASI/ PH Test 2019 which was conducted on 12 Mar 2019. Answer Key can be accessed from the link given below. ITBP ASI/ LT 2018 Answer Key 2019: Indo Tibetan Border Police has issued the Answer Key on 13 Mar 2019 for ASI/ LT Test 2019 which was conducted on 12 Mar 2019. Answer Key can be accessed from the link given below. ITBP HC/ ESC 2018 Answer Key 2019: Indo Tibetan Border Police has issued the Answer Key on 11 Mar 2019 for the exam. Answer Key can be accessed from the link given below. ITBP HC/ VET 2018 Answer Key 2019: Indo Tibetan Border Police has issued the Answer Key on 11 Mar 2019 for the exam. Answer Key can be accessed from the link given below. 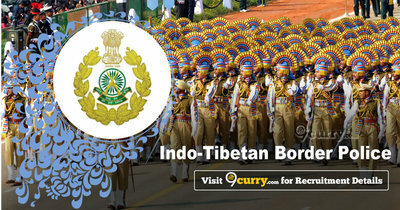 ITBP AC/ HT 2018 Answer Key 2019: Indo Tibetan Border Police has issued the Answer Key on 11 Mar 2019 for the exam. Answer Key can be accessed from the link given below. ITBP AC/ Engineer 2018 Answer Key 2019: Indo Tibetan Border Police has issued the Answer Key on 11 Mar 2019 for the exam. Answer Key can be accessed from the link given below.